Here is my demo reel. For best results, click the youtube button and watch it in HD. It is a combination of in-game footage shot with fraps and rendered scenes, composited in After Effects. Sorry for the ads if you see them. They are there because I chose to use music which, while excellent, is not made by me. It's not that I'm trying to monetize my own demo. I think it's a pretty fair trade off. This model is by far the biggest project I have ever taken on. In retrospect, it may have been a little too big! There were many challenges relating to reference and the level of accuracy I wanted. Eventually, I was able to get an actual combat pilot to give me some additional reference and pointers. I made a bunch of alphas for different kind of screws and bolts, and had to experiment a great deal to get the right texture for all of the various materials. This model is a simulator type 'hero' model, with a fully detailed interior for both crew stations. 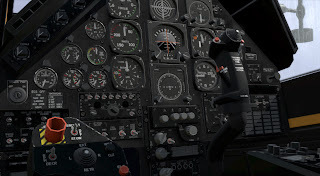 In the game it has as many working dials as I could make. 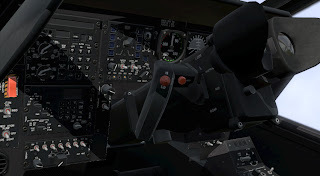 Operation Arrowhead isn't a flight sim so there are a few unused ones. The model is almost entirely hand painted with some photo reference / grunge textures used to make the matte paint look more scuffed up. condensation streaks I put on the windows. 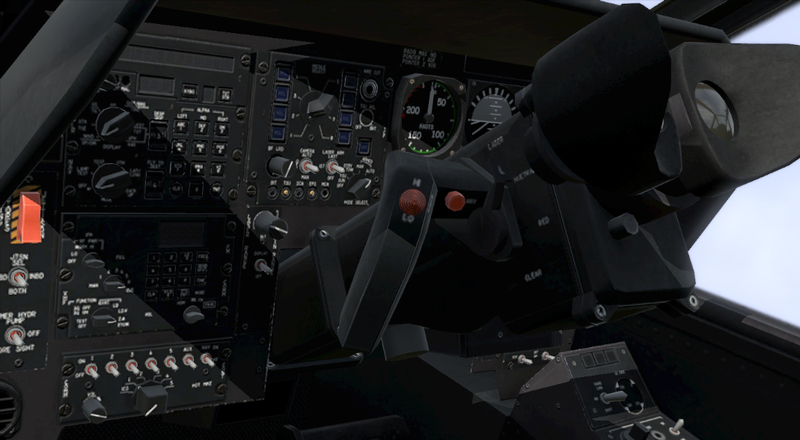 The in-game asset has ten visual LODs, including two 'pilot view' ones, four shadow volumes, and several other hit locations. The Real Virtuality engine allowed me to apply different materials to different locations of the LOD that interacts with the ballistic and damage simulations, so the various armour plates, engines, transmission, rotors, etc all have different abilities to stop or deflect different kinds of bullets. Additionally, the engine, transmission, tail rotor, systems, and turret may each be damaged or destroyed with different effects for each. 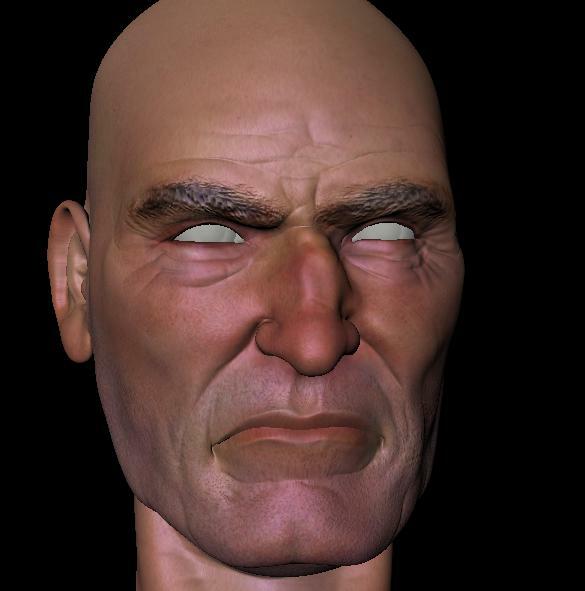 The first resolution LOD of this model has 10k points and 10k faces. It has 15 sections with its various proxies, and flare textures. The exterior of the model has 2 textures, one for the fuselage, and one for everything else, and the interior has 4 to keep the text legible. It is difficult to characterize the work and fiddly detail went into this project and its various features, don't feel shy to ask questions about it. More shots are available on my Picasa Album. Be sure to check out the descriptions :) All of the shots in the album are from the game engine model viewer that comes with the community tools, so it is more or less how it looks in game. 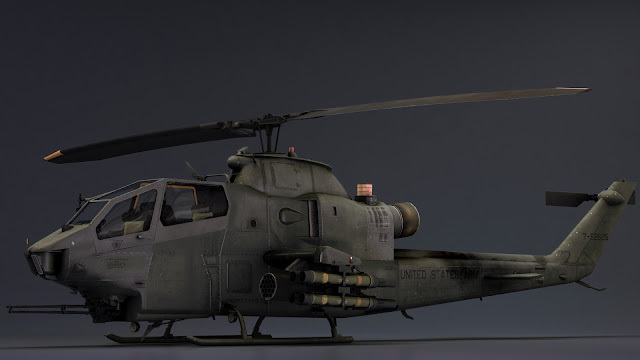 This model, as well as the rifle and the helicopter were done for a project called CWR2, which is supported by Bohemia Interactive to sort of recreate their Operation Flashpoint in their new engine. The project have me some latitude when it came to deciding what I wanted to model. 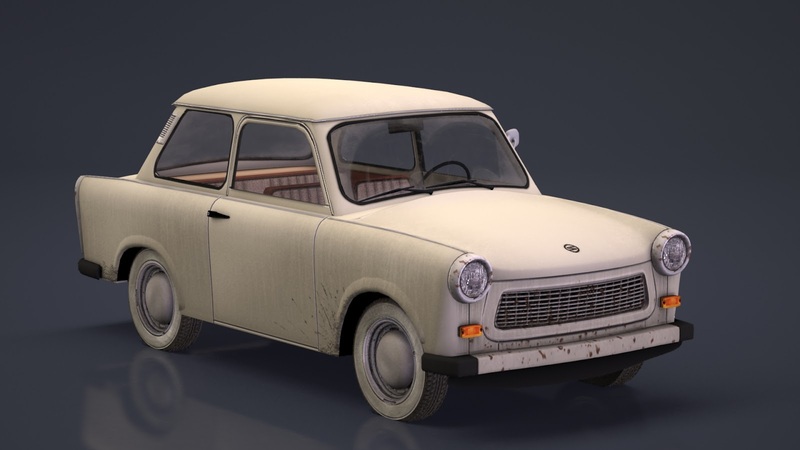 I chose this, a car from 60s East Germany- and perhaps the worst car ever produced- because I thought it would be something not many people have seen before. The big challenge was getting this thing to look old and used because it is made of plastic. Actually it's made of something called duroplast, which is, I guess, paper pulp bonded with glue, and so it doesn't rust. In fact, the paint doesn't really seem to come off either. In the game I have it a blotchy texture with areas of sun bleached paint that I had to take off of the render version because it just ended up looking ambiguously like some kind of render artifact. Since the game is a simulator, this car has several different levels of detail, and interior and exterior models. 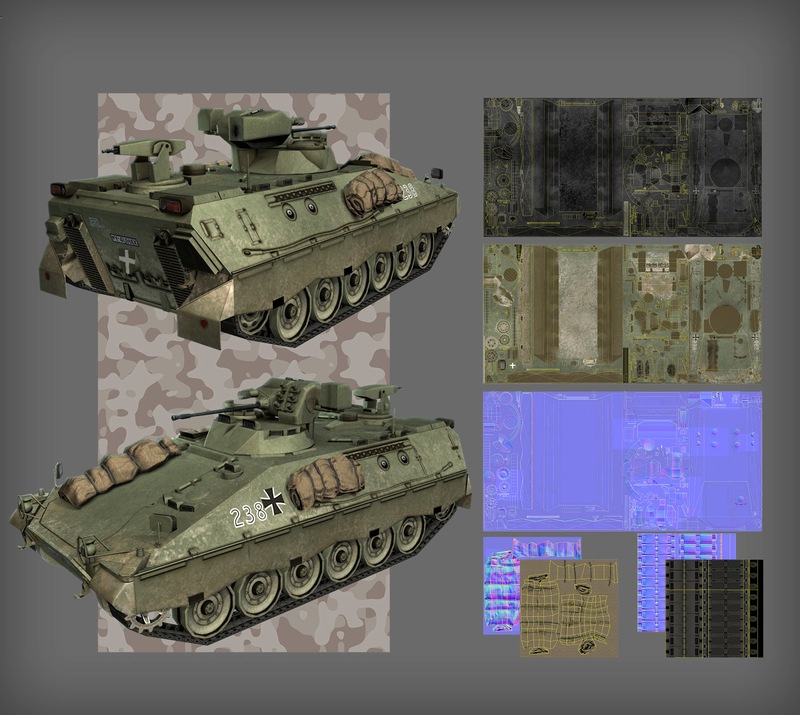 It's not a hero model, but the polycounts in Operation Arrowhead are quite high since every vehicles is drivable / destroyable / what have you. This first LOD has 3786 points and 3888 faces ~ 6500 triangles, and the last one has 240 faces. With the different materials, proxies, flare objects, etc, this model has six sections. The textures are a mixture of hand painted and photo reference. This rifle was interesting to me because it was sort of similar to the sort of 'elite' kinds of rifles you see in modern warfare type games- it was the precursor to the M4- but it's also kind of weird and awkward looking. The age of it gave me some latitude to make it look pretty bashed up, since the story it was made for takes place in the 80s and the rifle was first developed in the 60s. It was used in the vietnam war. In gathering reference for the rifle, I learned that its early versions had all kinds of problems that made the bullets suddenly turn sideways and tumble in flight, and the muzzle blast was too loud so it was really a pain to shoot. These kinds of tidbits are really interesting to me, and gave me an excuse to make a giant fireball come out the end of it when it is shot at night. Everyone loves huge fireballs, right? A friend of mine had a similar 'training' type rifle lying around, so I was able to get the general dimensions of it using micrometer calipers- not that I needed measurements accurate down to a micrometer, it's just the set of calipers I had access to. Like the other assets I made for Cold War Rearmed ², this one has several LODs. The first LOD has about 6000 points, which is about average for assets in Operation Arrowhead, and the last one has 600. The textures are entirely hand painted. I am the lead artist for a mod project called CWR2. Besides the models I have made, I also oversee something like 1200 models, each with their own LODs like I indicated for my own projects, and thousands of textures from many contributors. One of the projects I took on was the face of the main villain. I don't consider myself a character artist in any way, shape or form, but this was a good opportunity to use the base face topology model I developed in school, and to experiment with organic modelling techniques. The face is hand painted so far, using a layered maquette painting style. It's WIP, but I thought I would show it because I'm pleased with the way it's turning out. I tried to capture the feel of the original character, incorporate some of his back story into his facial features (like his broke nose from his prison guard days in the gulags), while keeping the proportions of the ArmA 2 facial rig! 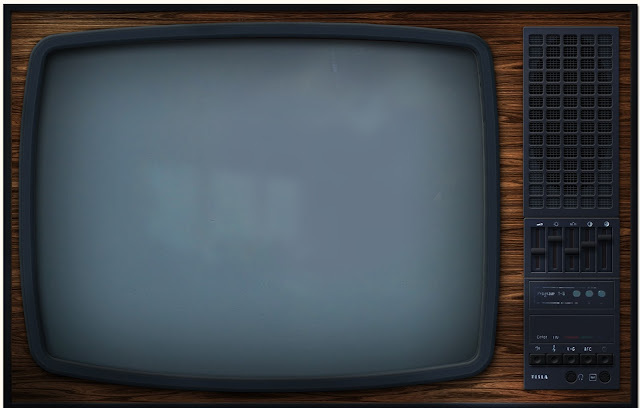 One asset I whipped up in less than a day (after I found the correct reference) was an overlay texture for a TV. This is an texture is supposed to go in front of the virtual camera when the characters are watching a television. It is an old Czech TV from the cold war era, and I was quite lucky to find only two photos of it on some antique radio website! My alpha texture of a Tesla c110 television, without the screen alpha. 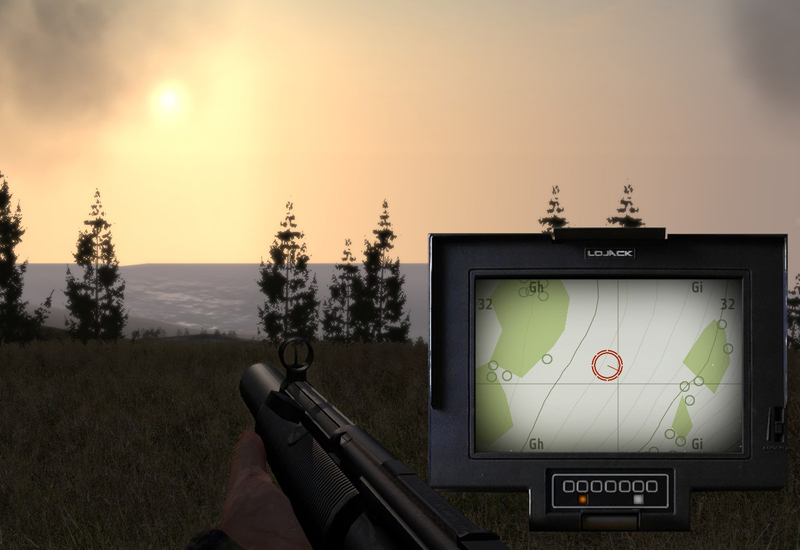 I also made a similar asset based on an old laptop screen for an 80s style 'high tech' tracking device. 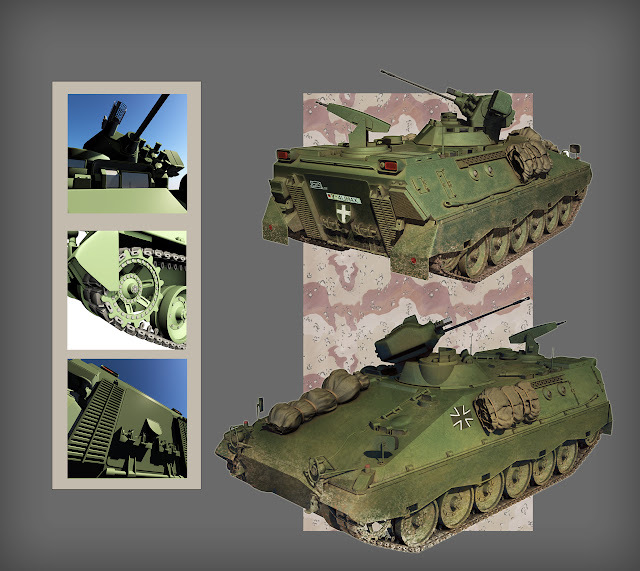 One of the things I did in school was make an articulated tank model. It's a Sappenpanzer Marder, a German APC. A Sappenpanzer Marder, in all its highpoly glory. And the mid-poly "hero" game asset.